Google Analytics is an incredibly popular tool to gain insights into who is coming to your site, how they're behaving, and if they're taking desired actions. 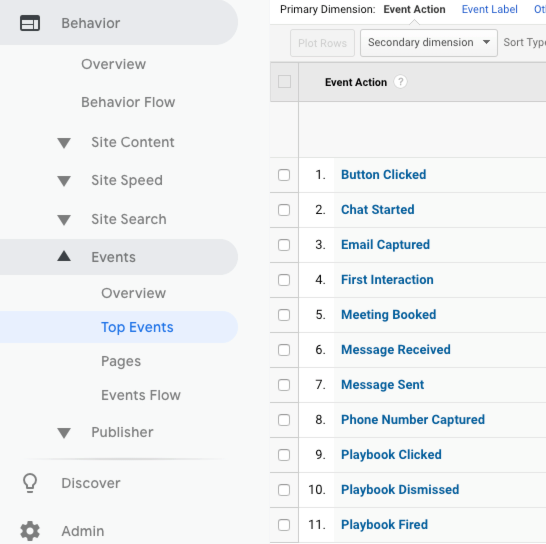 Drift's integration with Google Analytics allows us to automatically send Drift events to Google Analytics so that you can track your visitors' interactions. 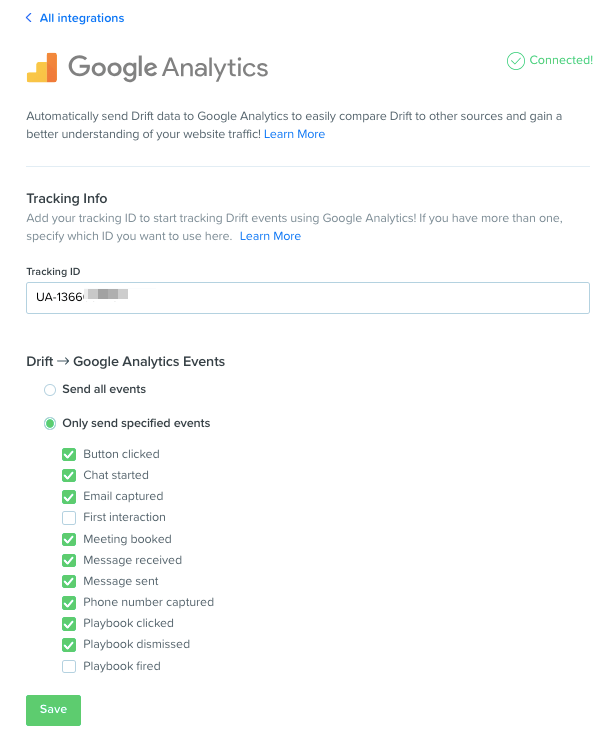 The Google Analytics integration is available on all Drift plans. Let's define what these captured events mean! The "startConversation" event fires when the user starts a new chat from a Welcome Message or the Default Greeting. It appears as "Chat Started." The "message:sent" event fires when an agent sends a message to an end user within a conversation. It appears as "Message Sent." The "message" event fires when a new message from an end user is received in a conversation. It appears as "Message Received." The "emailCapture" event fires when the user identifies themselves through an Email Capture Campaign, completes an email capture from inside the Widget, or if they simply type their email into a message. It appears as "Email Captured." The "phoneCapture" event fires when a phone number is captured. It appears as "Phone Number Captured." The "scheduling:meetingBooked" event fires when a user books a meeting with a member of your team. It appears as "Meeting Booked." The "conversation:playbookFired" event fires when a Playbook is shown to a visitor. It appears as "Playbook Fired." The "conversation:playbookClicked" event fires when a visitor clicks into a Playbook. It appears as "Playbook Clicked." The "conversation:ButtonClicked" event fires when a button is clicked in a Playbook by the end user. It appears as "Button Clicked. The "conversation:playbookDismissed" event fires when a visitor dismisses the Playbook message. It appears as "Playbook Dismissed." The "conversation:firstInteraction" event fires when the user responds to the Playbook by clicking a button response or by replying with a message. It appears as "First Interaction." 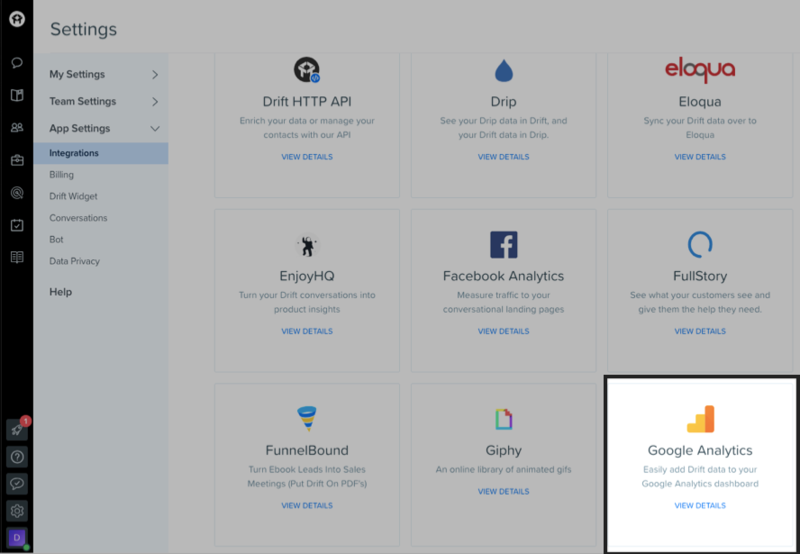 From within your Drift account, head to Settings > App Settings > Integrations and click on Google Analytics, or click here! If you only have one Tracking ID, that's all there is to it! You'll automatically start seeing Drift data in your Google Analytics dashboard. If you have more than one Tracking ID type in its value. Click Save to enable your changes! Make sure that this is an existing Tracking ID. You can only connect to one Tracking ID at a time. While we currently offer seven trackable events, you may not want to sync all of those. 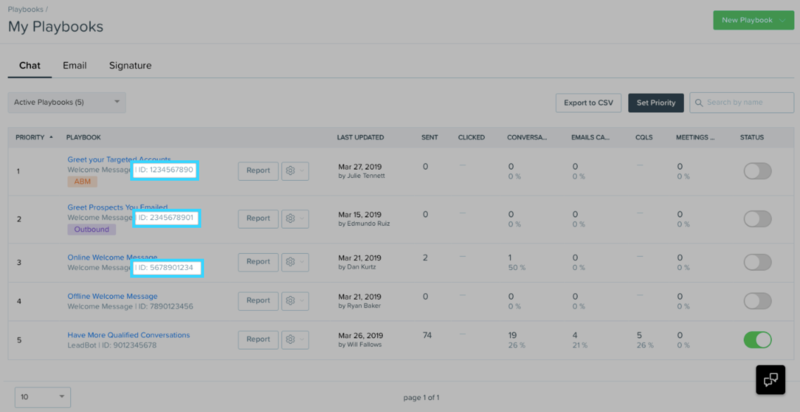 Once you've connected the integration, you can select which Drift events you want to send over to Google Analytics. We default to sending all events to Google Analytics. Playbook-related events will currently show up in the "Event Label" as "Playbook ID: [Playbook ID]". You can find your Playbook ID within the URL of the visual builder or within the Playbooks tab! In Google Analytics, "goals measure how well your site or app fulfills your target objectives. A goal represents a completed activity, called a conversion, that contributes to the success of your business." Name your goal and choose "Event" as the type. Click Continue. Set the category as "Equals to" and "Drift Widget." Based on the event you're configuring your goal with, Based on which action you want to trigger a o based off of, you'll use Action Equal To "Chat Started", "Email Captured", "Meeting Booked" etc. Keep the Label and Value fields blank! 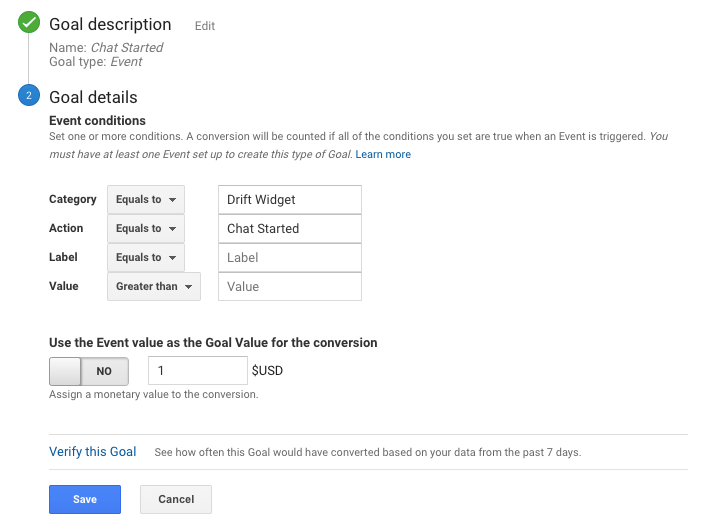 Lastly you'll want to turn off the toggle that reads "Use the Event Value as the Goal Value for the conversion" and set any monetary value greater than 0. You can verify the goal to make sure it's reading your events correctly and then click Save! Do these events affect my bounce rate? Depending on which events you've chosen choosing to sync, these events may be affecting your bounce rate as you're calculating it, according to your personal use case. You can mark these events as a "non-interaction hit" by following this Google Analytics help doc. Our team is working hard to bring more event types to the integration!